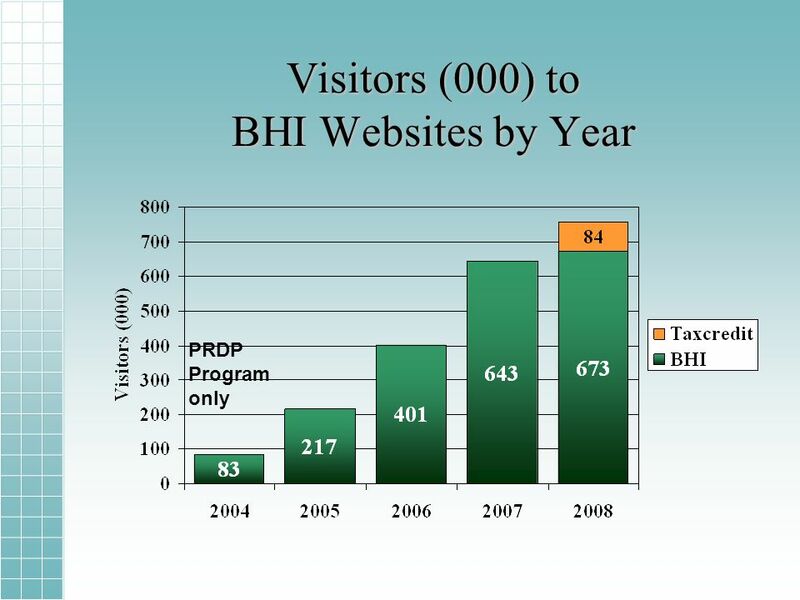 BHI 2008 Year In Review Sergei Kochkin, Ph.D. 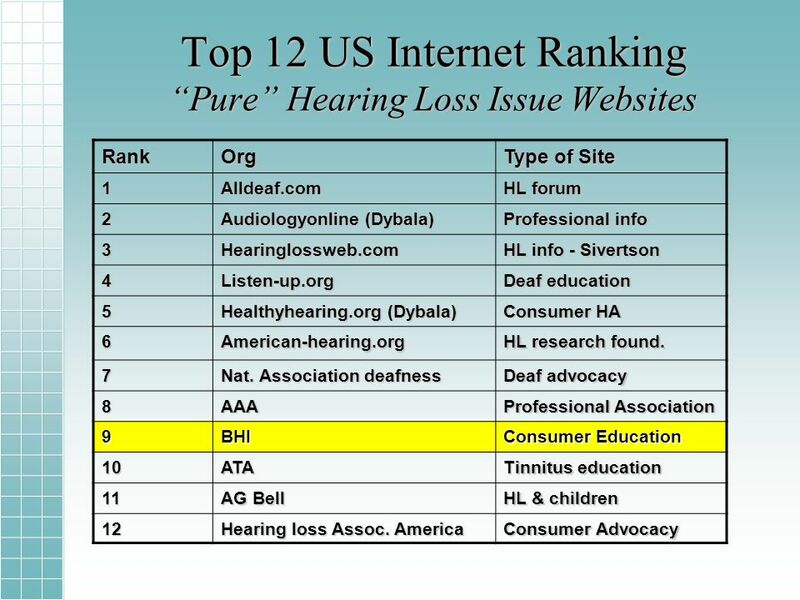 Advocates for Americas Ears TM. 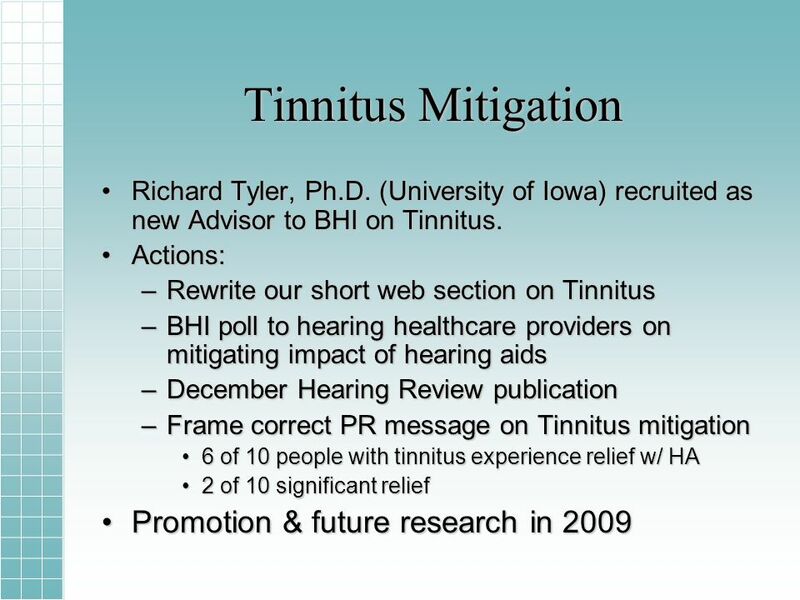 3 Partnering with the Better Hearing Institute Multi-year effort to build grassroots partnering communication with hearing health professionals.Multi-year effort to build grassroots partnering communication with hearing health professionals. 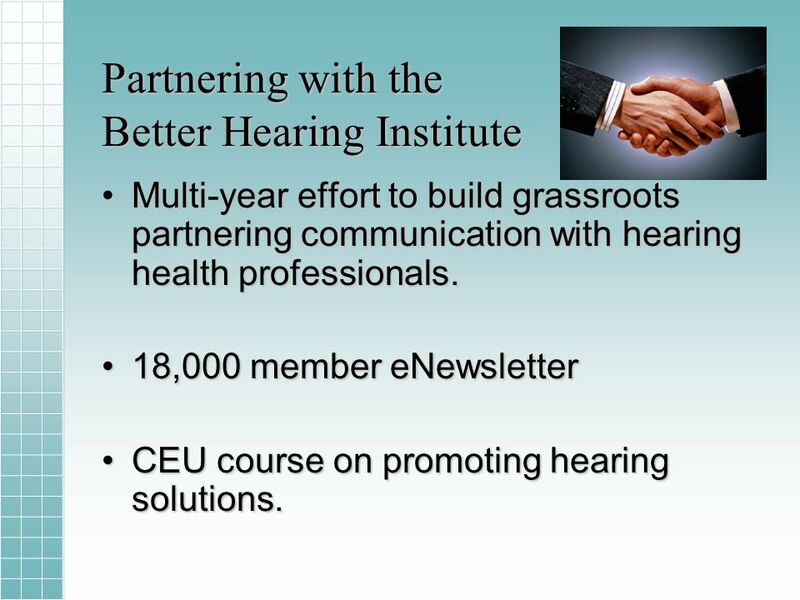 18,000 member eNewsletter18,000 member eNewsletter CEU course on promoting hearing solutions.CEU course on promoting hearing solutions. 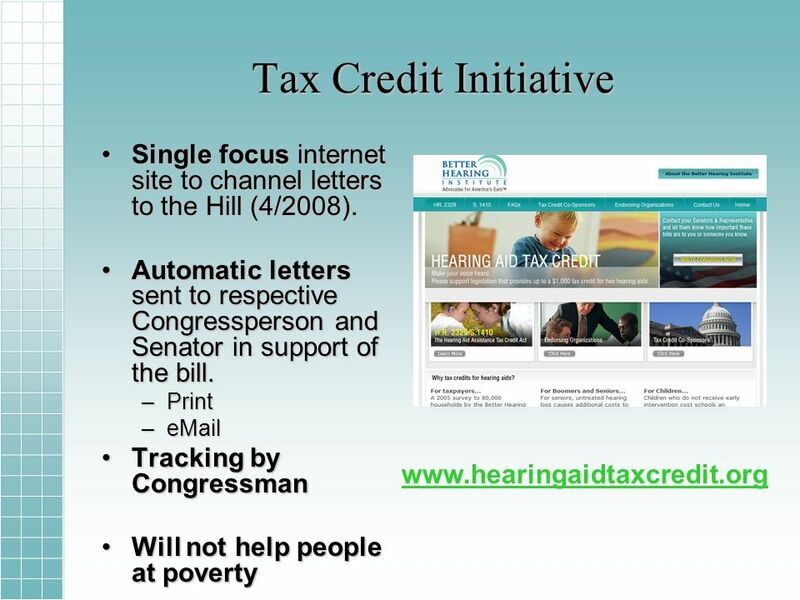 4 Tax Credit Initiative Passage of the tax credit is one of the our most critical advocacy initiatives.Passage of the tax credit is one of the our most critical advocacy initiatives. 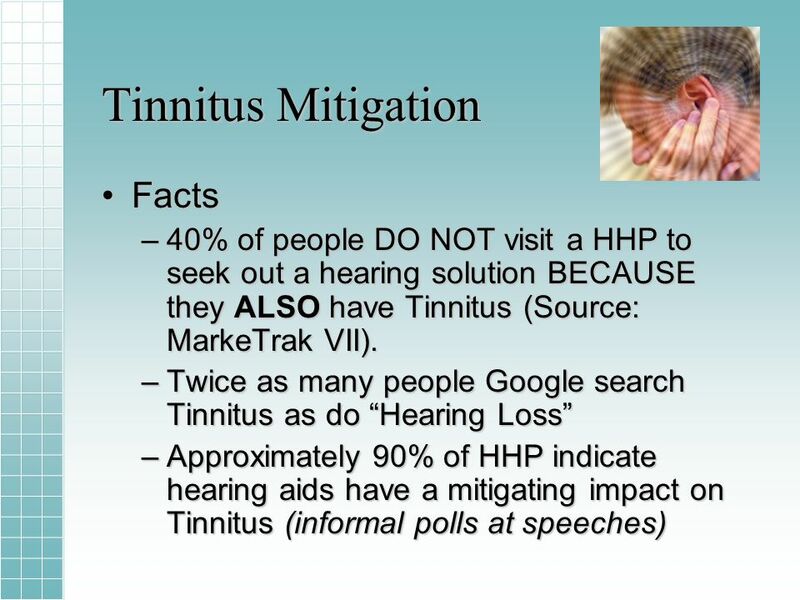 It addresses one of the key obstacles to hearing solutions.It addresses one of the key obstacles to hearing solutions. 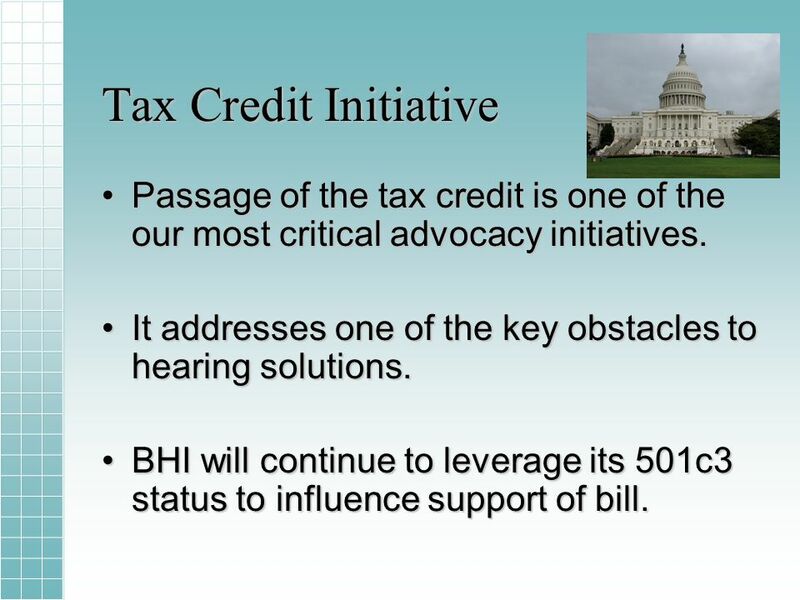 BHI will continue to leverage its 501c3 status to influence support of bill.BHI will continue to leverage its 501c3 status to influence support of bill. 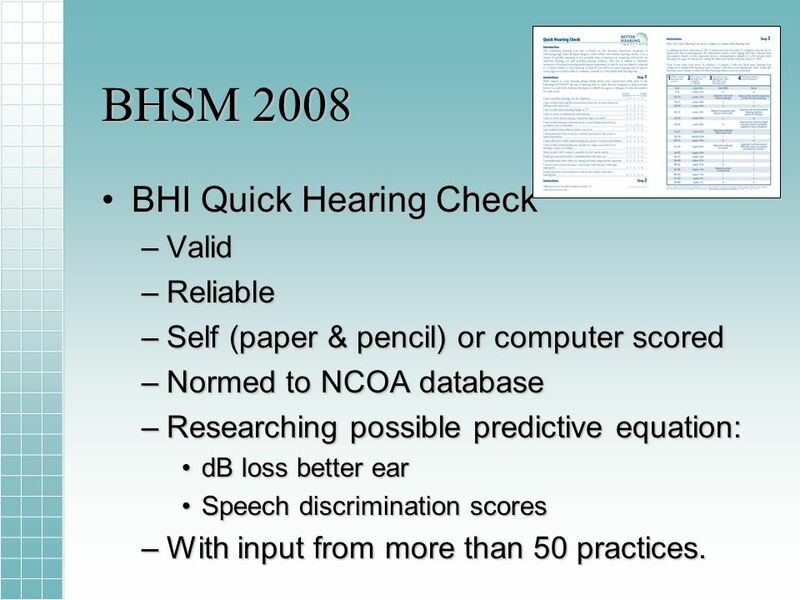 10 BHSM 2008 BHI Quick Hearing CheckBHI Quick Hearing Check –Valid –Reliable –Self (paper & pencil) or computer scored –Normed to NCOA database –Researching possible predictive equation: dB loss better eardB loss better ear Speech discrimination scoresSpeech discrimination scores –With input from more than 50 practices. 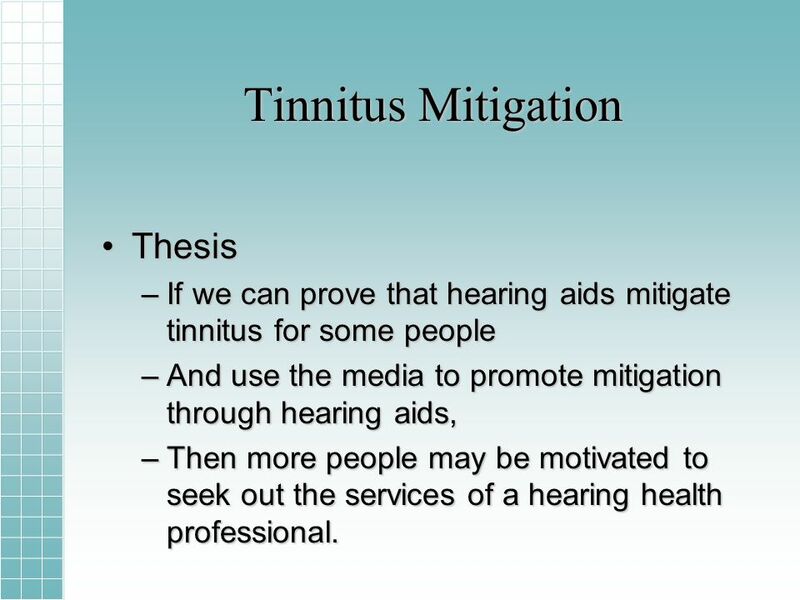 13 Tinnitus Mitigation ThesisThesis –If we can prove that hearing aids mitigate tinnitus for some people –And use the media to promote mitigation through hearing aids, –Then more people may be motivated to seek out the services of a hearing health professional. 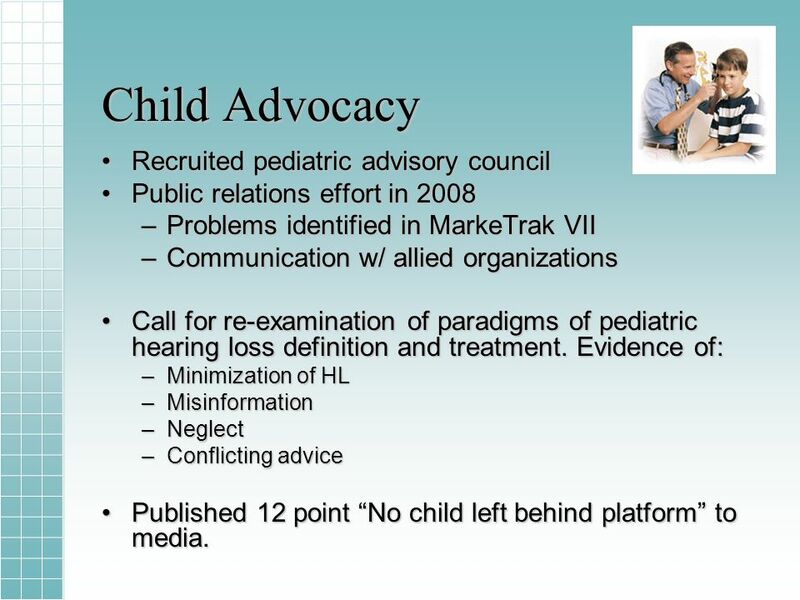 16 Child Advocacy Recruited pediatric advisory councilRecruited pediatric advisory council Public relations effort in 2008Public relations effort in 2008 –Problems identified in MarkeTrak VII –Communication w/ allied organizations Call for re-examination of paradigms of pediatric hearing loss definition and treatment. 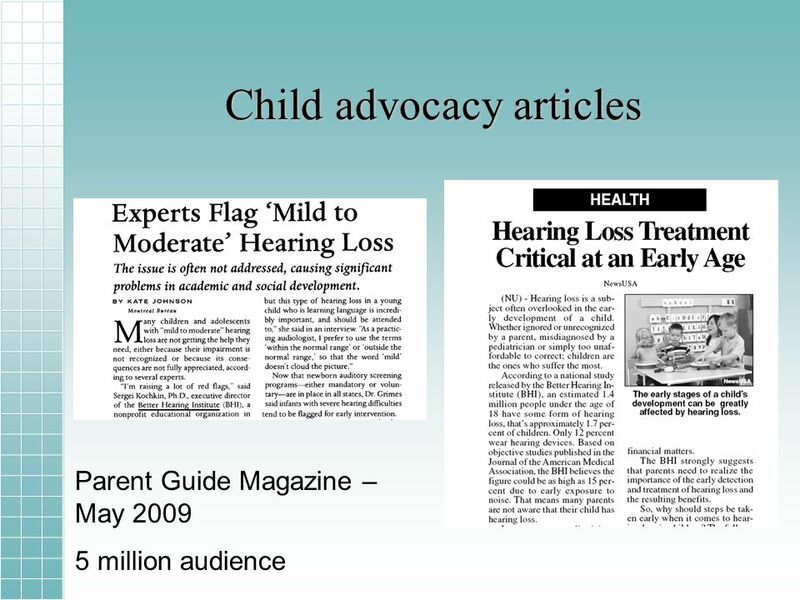 Evidence of:Call for re-examination of paradigms of pediatric hearing loss definition and treatment. 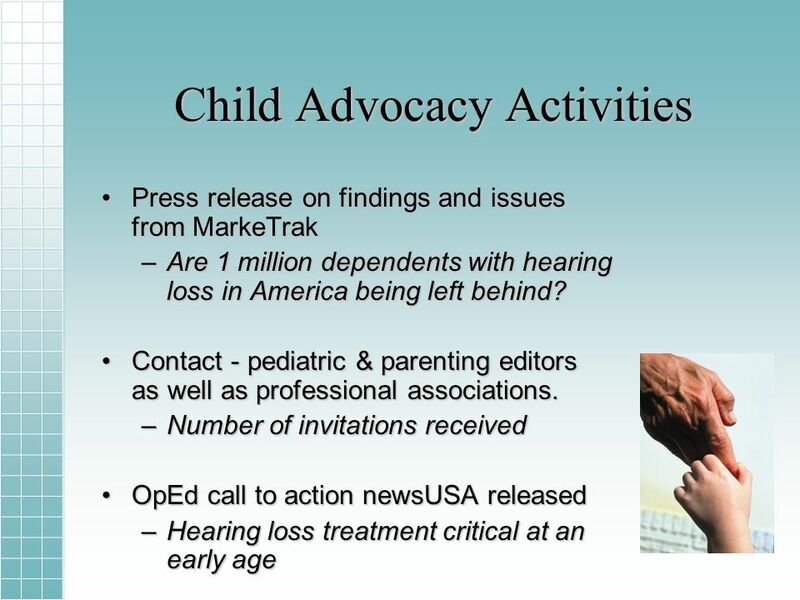 Evidence of: –Minimization of HL –Misinformation –Neglect –Conflicting advice Published 12 point No child left behind platform to media.Published 12 point No child left behind platform to media. 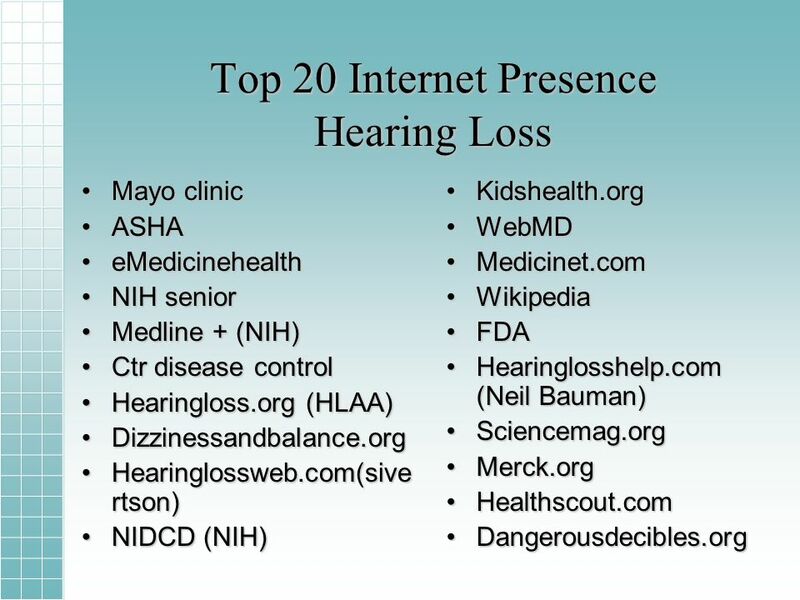 20 Linking Hearing Loss with Diabetes & Vision Loss Key way to elevate importance of hearing.Key way to elevate importance of hearing. 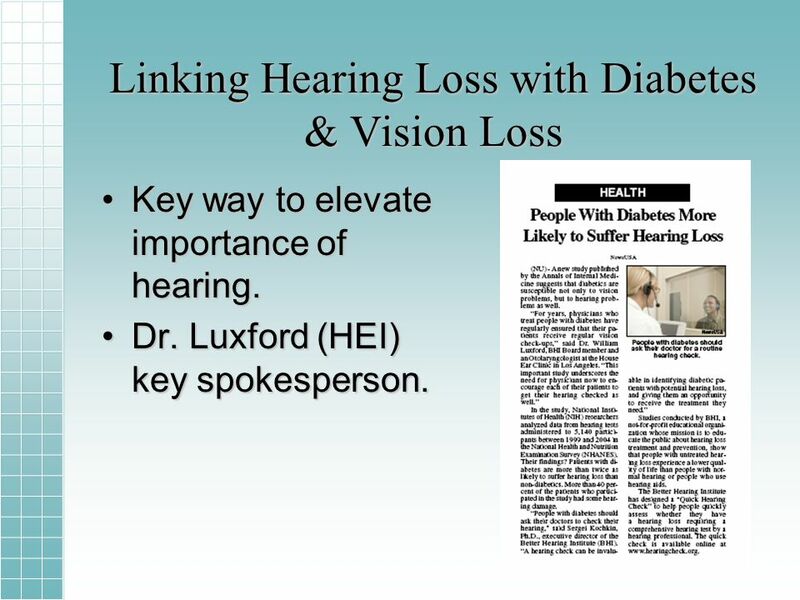 Dr. Luxford (HEI) key spokesperson.Dr. 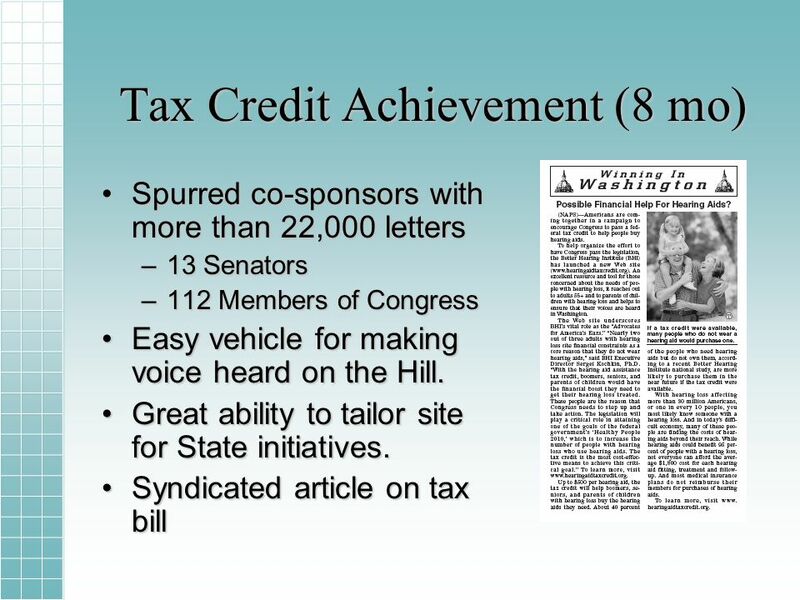 Luxford (HEI) key spokesperson. 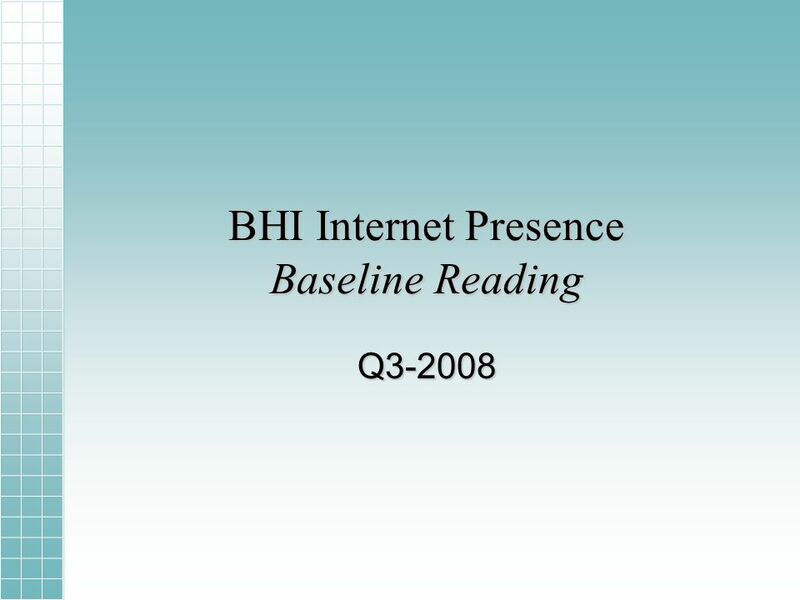 29 Summary InternetInternet –Slowing of growth trend to BHI website. 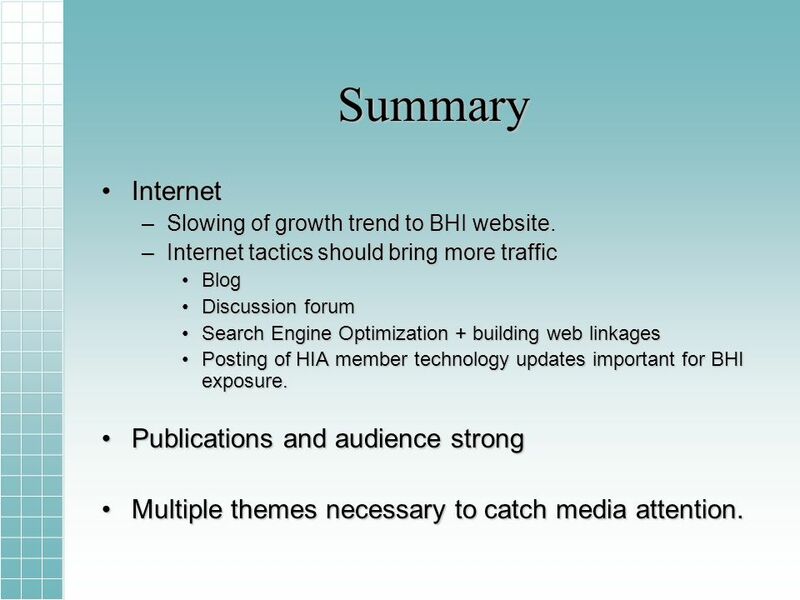 –Internet tactics should bring more traffic BlogBlog Discussion forumDiscussion forum Search Engine Optimization + building web linkagesSearch Engine Optimization + building web linkages Posting of HIA member technology updates important for BHI exposure.Posting of HIA member technology updates important for BHI exposure. 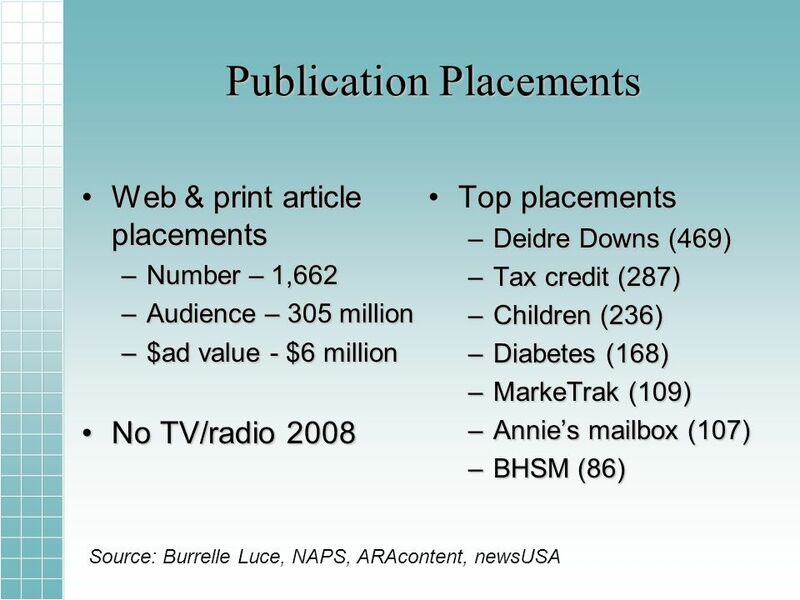 Publications and audience strongPublications and audience strong Multiple themes necessary to catch media attention.Multiple themes necessary to catch media attention. 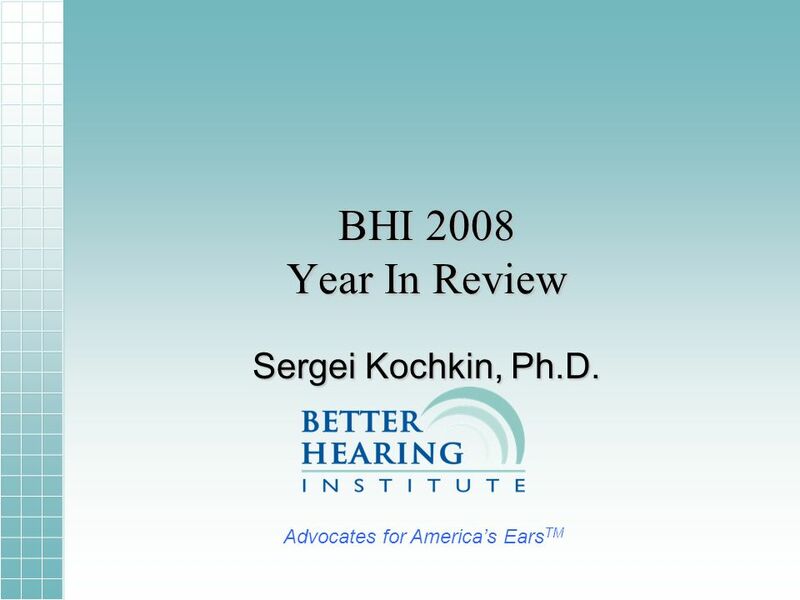 Download ppt "BHI 2008 Year In Review Sergei Kochkin, Ph.D. 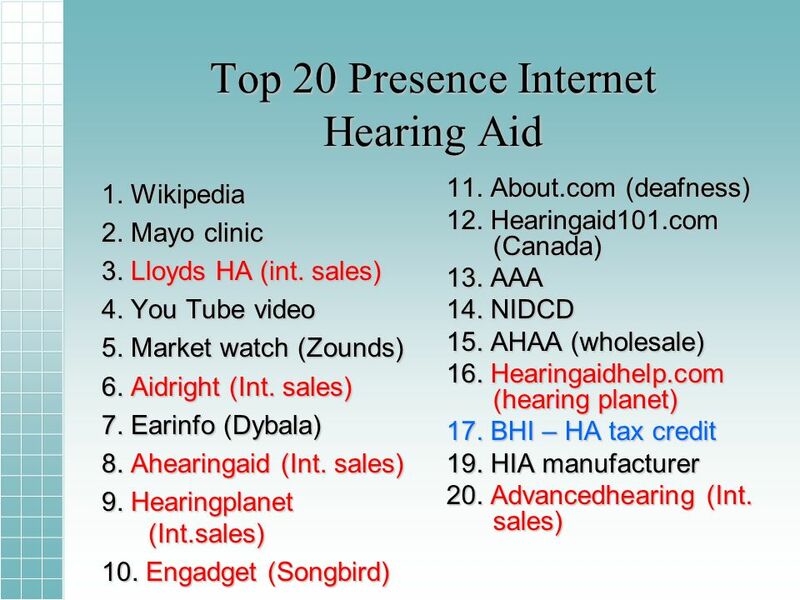 Advocates for Americas Ears TM." Stop. Think. Connect. 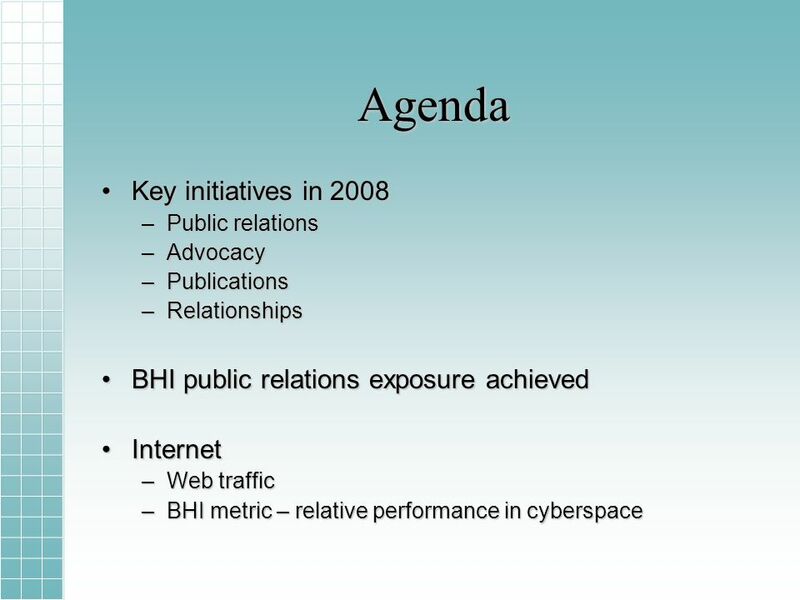 National Cybersecurity Awareness Campaign October 2010. Did You Know? 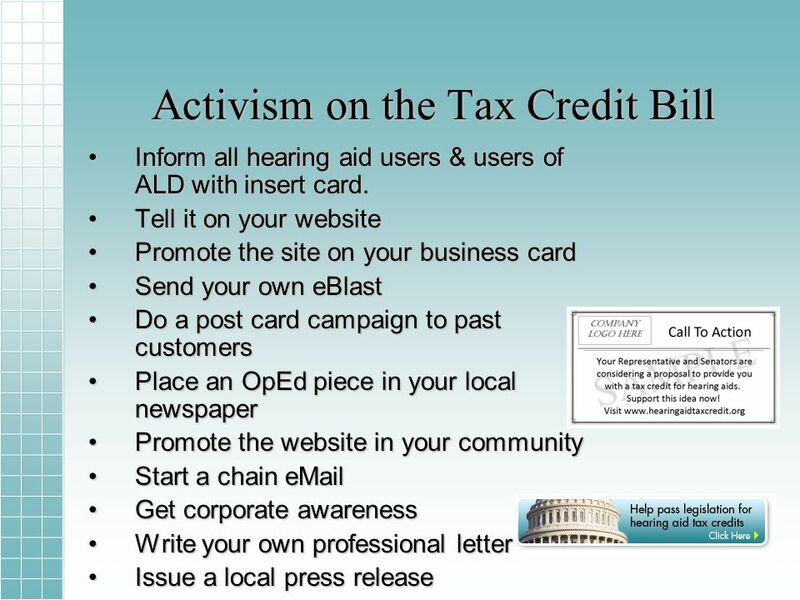 More than 100,000,000 Americans are active Web and users North Americans alone exchange more than 8 billion messages a day. 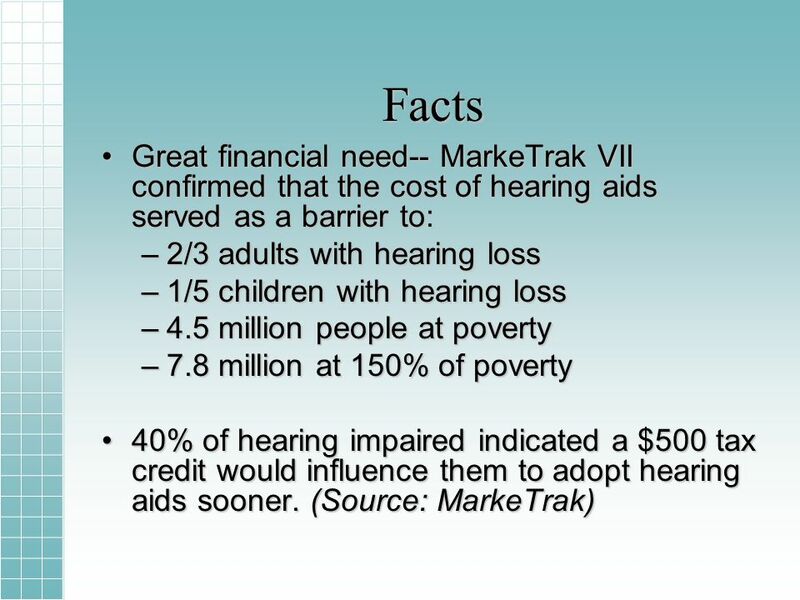 MarkeTrak VII: New Opportunities for Promoting Hearing Solutions Sergei Kochkin, Ph.D.
MarkeTrak VIII: 25 Year Trends in the Hearing Health Market How do we get on the fast track? 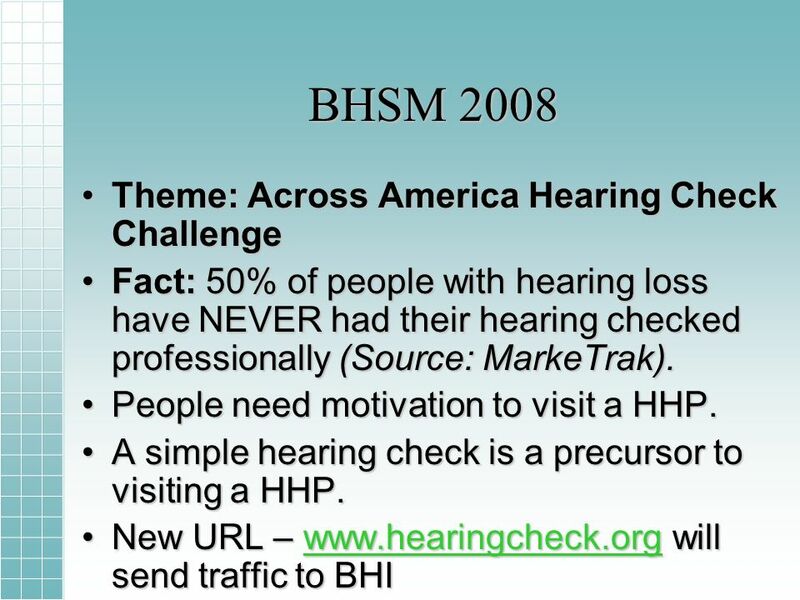 Sergei Kochkin, Ph.D.
New Research from BHI (Methods of Promoting Your Practice) Sergei Kochkin, PhD. Strategic Plan Singer Island, FL December 17, 2008. 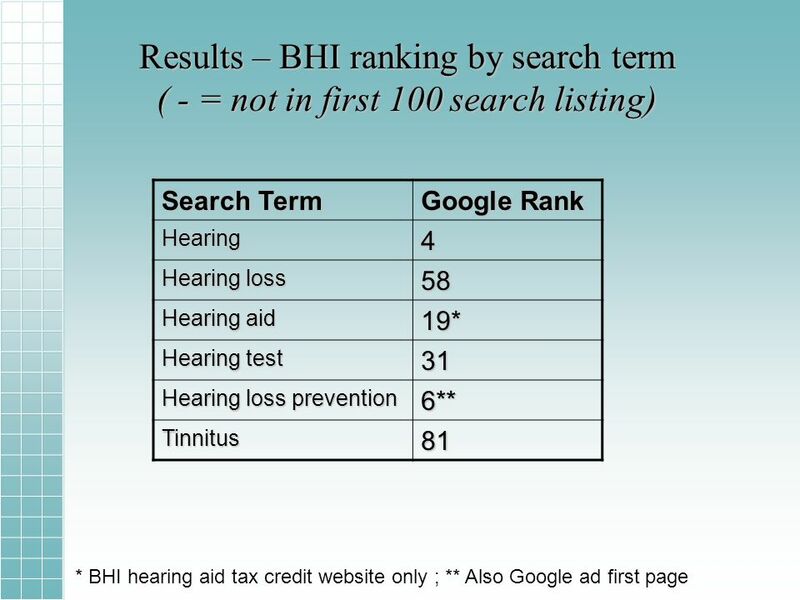 New Research From the BHI (Part 1) Best Practices = Good Outcomes Sergei Kochkin, PhD. 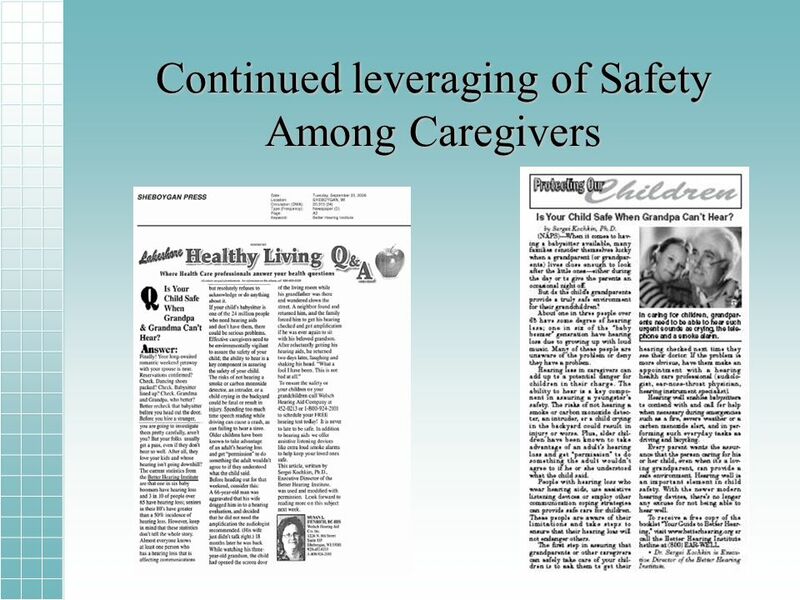 Looking Back – Looking Forward HIA 2007 Annual Meeting Key Largo, FL February 16, 2007. 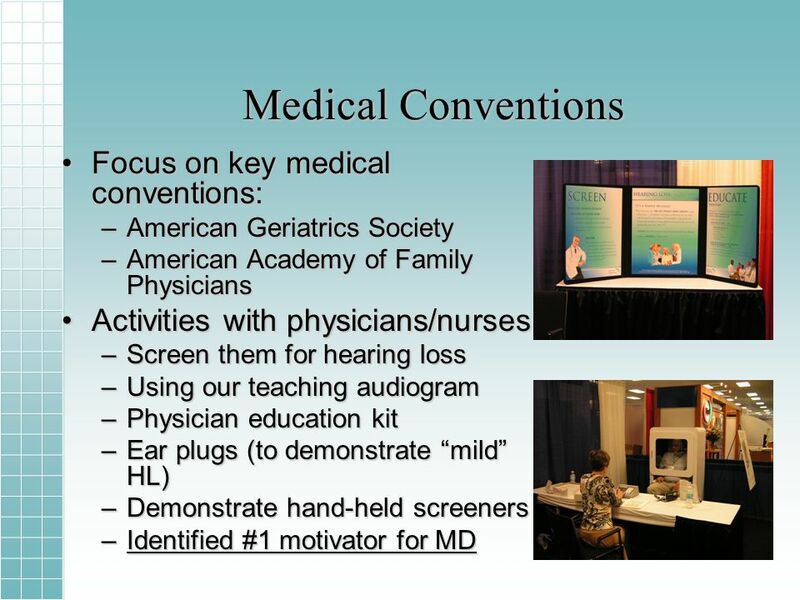 Improving the lives of older Americans Using Technology to Screen and Enroll People in Benefits: An Overview of BenefitsCheckUp Marlene Schneider AIRS.